Something videogames do exceptionally well – probably better than any other medium – is weirdness, and the trailer for Atomic Heart is one of the weirdest things I’ve seen in a while. You can watch the full trailer, which debuted this week, above. There’s a lot going on, but the overall feel is Bioshock Infinite by way of Stalker – not necessarily the 2007 Shadow of Chernobyl version, but the dreamlike 1979 film by Andrei Tarkovsky, albeit with a more breakneck pace and several vats of blood poured in. 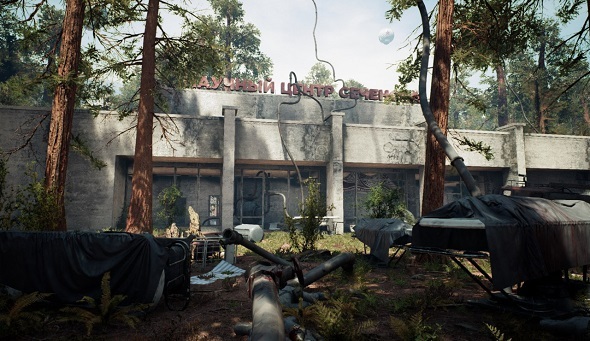 Moscow-based developer Mundfish says Atomic Heart is set during an alternate history version of the Soviet Union’s “high noon,” and it seems you play as an agent sent to determine what’s happened in a secret project after some kind of disaster. There are elements of clown-based robot horror, terrain that ripples like water, and even a pistol that looks a lot like Deckard’s blaster from the original Blade Runner. At the end of the trailer, an expansive map appears, suggesting that, like the STALKER games, parts of Atomic Heart might be open world. Atomic Heart appears to be Mundfish’s first game as a studio, and according to the game’s Steam page, it’ll be out sometime this year. You can find out more at the official site.